The question of when the Rapture takes place is one of the most divisive and controversial subjects of Christian debate today. The tone of this debate has gradually deteriorated to the base level of insults and character assassination. Proponents of both sides are accusing the other of heresy. Sadly, this is what it has come to. 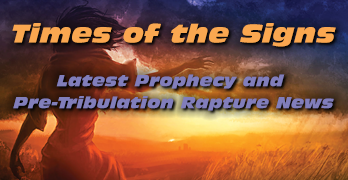 After much reading and studying I have decided for myself that the greatest likelihood is that the Rapture will occur before the 7 year Tribulation spoken of in the Book of Revelation. I have to insist that you give careful consideration to arguments from both sides before drawing any of your own conclusions. Regardless of who is right we should agree that Jesus is righteous and that salvation can only come through acceptance of the final atoning sacrifice of Jesus dying on the cross for our sins. Our salvation is not at all tied to when the Rapture will occur. If we all lived our lives as if the Rapture could happen at any moment then the world would be a better place and we wouldn’t have this debate. The content of this web site is both original and borrowed. Although much of the content is original I prefer to not take any authorship credit since I borrow so much. When it comes to the Gospel whats most important is sharing The Word, rather than who wrote what. One piece of advice for all is to shy away from the date-setters who preoccupy themselves with trying to determine the ‘day and the hour’ of our Lord’s return. It is clear that we will be witness to many signs in the Last Days that the hour is approaching, but the Bible says “nobody, not even the angels” know what that hour is. My prayer is that the information shared on this web site will be a blessing to those who need reasurrance that our Blessed Hope is that Jesus Christ is returning for his loved ones very soon. Is Microsoft’s Biometrics the Mark of the Beast? as early as this summer. Biometrics have long been promoted as a more secure and convenient alternative to passwords, social security numbers or even mothers’ maiden names, which can be hard to remember and may easily fall into the wrong hands. Industry experts say Microsoft’s move could be pivotal in helping to speed widespread adoption. Unlike passwords, it is virtually impossible for so-called biometric keys to get into the wrong hands, since the fingerprint is a literally part of the individual user’s hand. But while many computer users would happily swap a long list of passwords for a simple fingerprint reader, such biometric technology has until recently been prohibitively costly. Microsoft says it plans to offer biometrics support to users of its Windows 2000 software by this summer and will fully incorporate the security into Windows in the future. So the question begs once again, “Is Microsoft’s Biometrics the Mark of the Beast?” The answer is, “No”, of course not. However, it remains to be seen whether biometric technology will be encorporated in the real Mark of the Beast when the time arrives. There will be no mistaking it when it happens, so people don’t need to worry about ‘accidentally’ agreeing to accept ‘the mark’ and being damned to Hell as a consequence, that’s not how it works. Wouldn’t it be something if the mark has nothing to do with technology?